Having once been fierce box office rivals, Sylvester Stallone and Arnold Schwarzenegger are fast becoming the inseparables. 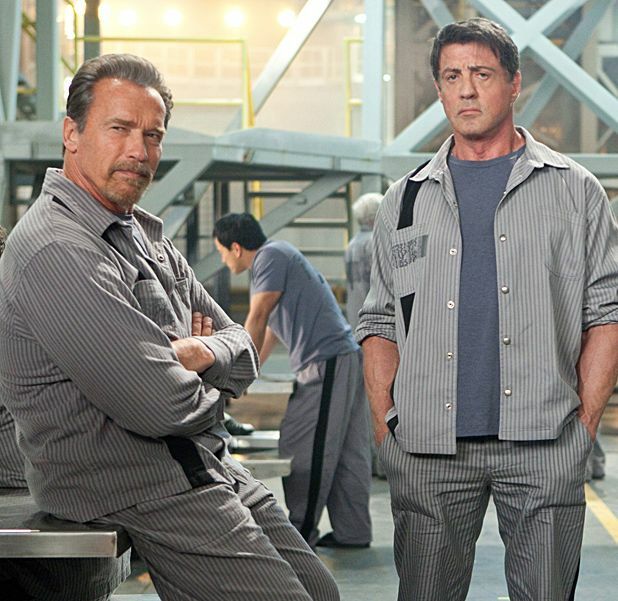 Following hot on the heels of The Expendables, Escape Plan places the two ageing action icons front and centre. And their engaging double act almost papers over the cracks of a heavily flawed movie. Stallone plays prison escape expert Ray Breslin who reluctantly agrees to an off-the-books government offer to test a new facility for the world’s most dangerous criminals. Once there, however, he finds himself double crossed and at the mercy of the prison’s sadistic warden Willard Hobbes (Jim Caviezel). In order to get out, he must team up with fellow inmate Emil Rottmayer (Schwarzenegger), who has also been singled out for special attention by the warden for his links to a wanted criminal mastermind. Mikael Hafstrom’s film would have you believe it’s more intelligent than it really is because of the puzzle-solving nature of Breslin’s predicament. But there’s a lot that doesn’t stand up to close scrutiny and it comes down to the two leads to deliver most of the film’s enjoyment. A colourful supporting cast, including Sam Neill, Vincent D’Onofrio and Amy Ryan, lend extra gravitas that the script doesn’t really deserve. But at the end of the day, Escape Plan still promises more than it delivers. It’s disposable, even expendable, hokum. General release from Fri 18 Oct. When a security expert finds himself set up and incarcerated in the world's most secret and secure prison, he has to use his skills to escape with help from the inside.